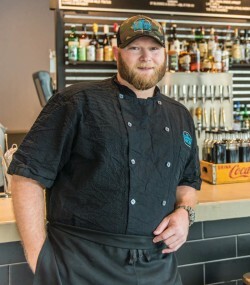 Adam Biderman, chef and owner of The Company Burger, has a culinary background that reads like a who’s who of Atlanta’s and New Orleans’ most influential chefs of the past decade. Biderman moved to Athens, Georgia, to attend the University of Georgia, but he quickly realized that he was “never meant to be in school” and, in 2002, moved to Atlanta. 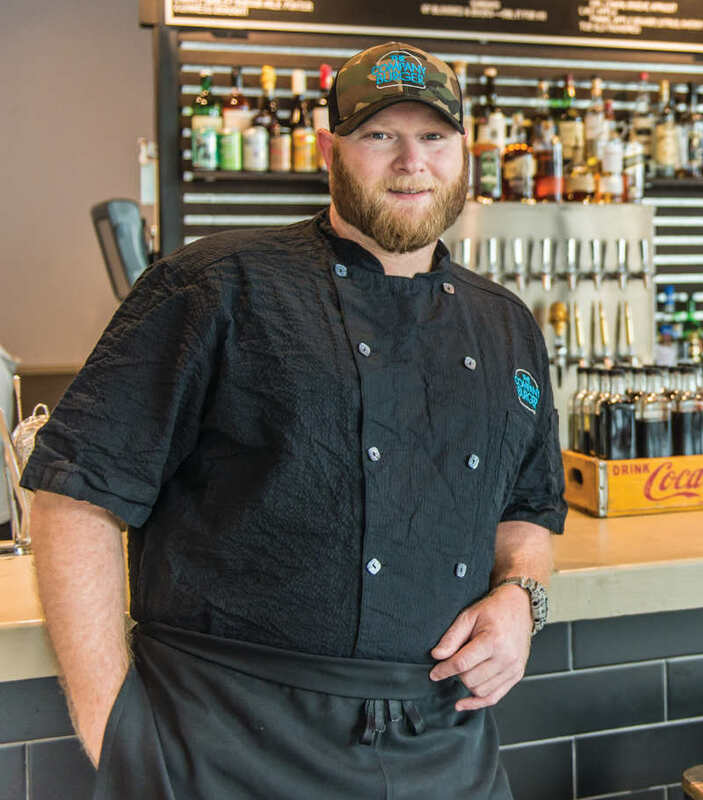 While there, he worked as a sous-chef at Restaurant Eugene; he also worked at Star Provisions and at the gastropub Holeman and Finch Public House. In 2008, while home for Christmas, Biderman had what he calls a “fortuitous meeting” with local restaurateur Neal Bodenheimer at his cocktail bar Cure on Freret Street. About six months later, Biderman decided he wanted to come home. He took a position as a line cook for chef Donald Link at Herbsaint before taking a year off to begin planning and designing his own project. On Aug. 17, 2011, The Company Burger served its first round of eponymous burgers on Freret Street. The namesake burger is composed of two 6.5-ounce patties, each topped with a slice of American cheese — with thinly sliced red onions sandwiched in between them — then topped with house-made pickles on a freshly baked bun. Biderman created The Company Burger, and he says it is his favorite menu item. Biderman sources the restaurant’s beef from Creekstone Farms. “It’s an all natural, hormone- and antibiotic-free, ethically sourced product, and the quality is unmatched, especially in a hamburger,” says Biderman, who chose a blend of chuck and brisket to make a juicy, flavorful burger. The Uptown location has been so successful that Biderman opened a second location on O’Keefe Avenue in the CBD on Sept. 22. He and his team “absolutely love” being downtown, because it’s an area that offers a mix of tourism and business lunch traffic. The diversity of the clientele at this location inspired Biderman’s team to put greater emphasis on the bar business, which boasts more than a dozen draft beers and a full bar that offers “approachable, easy and delicious cocktails that go great with food,” Biderman says.